Circular Living has helped me downsize and simplify my belongings and my routines, both inside and outside my home. I'm excited to share with you 22 simple plastic-free alternatives for the bathroom, which have saved me money and prevented the production of primary waste. Every year in America, 50 million pounds of plastic toothbrushes are hitting the landfill. Choosing a bamboo toothbrush is a healthy choice for people and the planet. Most floss comes packaged in plastic, is made from plastic, or a composite of silk and plastic, which does not biodegrade. Life Without Plastic makes a great plastic-free floss alternative that does not break easily when using. Most toothpastes are packaged in plastic and contain harsh chemicals that pollute our bodies and the planet. It's very simple to make your own toothpaste! We can also opt for Davids Natural Toothpaste, which is nearly plastic-free and safe for us and the planet. I love using toothpowder when I travel and it's a great summertime pal (the coconut oil in my homemade toothpaste becomes a little liquid in the summer months and can separate). Of course the majority of toothpowder is sold in plastic containers, thank goodness making our own is easy peasy! Most mouthwashes are packaged in plastic and contain some pretty nasty ingredients that should not be put in our mouth, or spit down the sink. My homemade mouthwash takes 2 minutes to make, and is super fresh and clean! Most liquid soaps are packaged in plastic. I fill up on bulk liquid soap by bringing my own jar. For bar soap, it's fun to make your own, or opt for one that's not packaged in plastic. Palm oil is a common ingredient in soaps, because it's a cheap vegetable oil that has a nice lather; however, palm cultivation is responsible for mass deforestation, habitat loss, and species extinction in South East Asia. I wrote a post all about it here. Large packs of toilet paper are often packaged in plastic! I opt for toilet paper made from 100% post consumer recycled paper that is also packaged in paper instead of plastic. I've been researching bamboo toilet paper, but so far haven't found one that's clearly in alignment with my values. Installing a bidet attachment is also an option to reduce toilet paper use. I remember spending so much on razors and razor blades! I've saved quite a lot of money and prevented a lot of plastic from entering the landfill by switching to a stainless still safety razor. I haven't seen a shaving cream or gel that isn't packaged in plastic! Thank goodness making my own is simple to do. I'll be sharing my aloe vera shaving gel recipe soon! If you don't have access to aloe, or don't want to make your own - good ole' bar soap does the trick! We have polluted and taken so much from our oceans, that I don't feel comfortable using a plastic loofa or a sea sponge to wash my body with. My mom grew me some loofas in her garden instead! If you can find them package-free, or grow them yourself that's great. They are the perfect roughness and last about 6 months a pop, depending on how you take care of them. They can be composted after they've run their course. They also work great as a kitchen sponge! If you don't have access to a loofa, use a non-syntehic washcloth instead of a plastic loofa. After the shower I like to moisturize. The majority of lotions are yet again packaged in plastic and contain toxic preservatives. 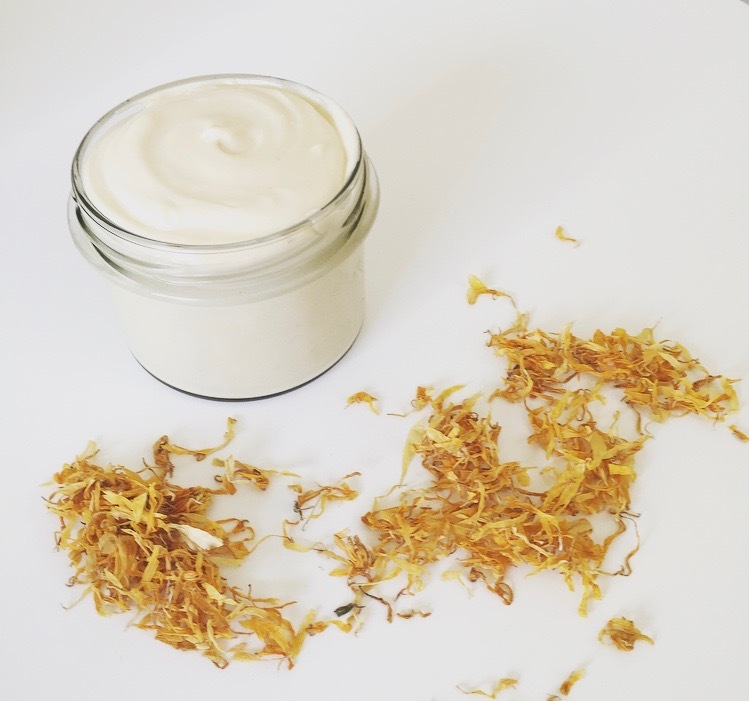 I suggest trying to make your own lotion, or starting out with my body balm recipe if you are a DIY beginner. They are both super dreamy on the skin and smell amazing. Little boutiques across the country are beginning to sell plastic-free deodorant; however, there isn't a plastic-free option in most natural food and conventional grocery stores. 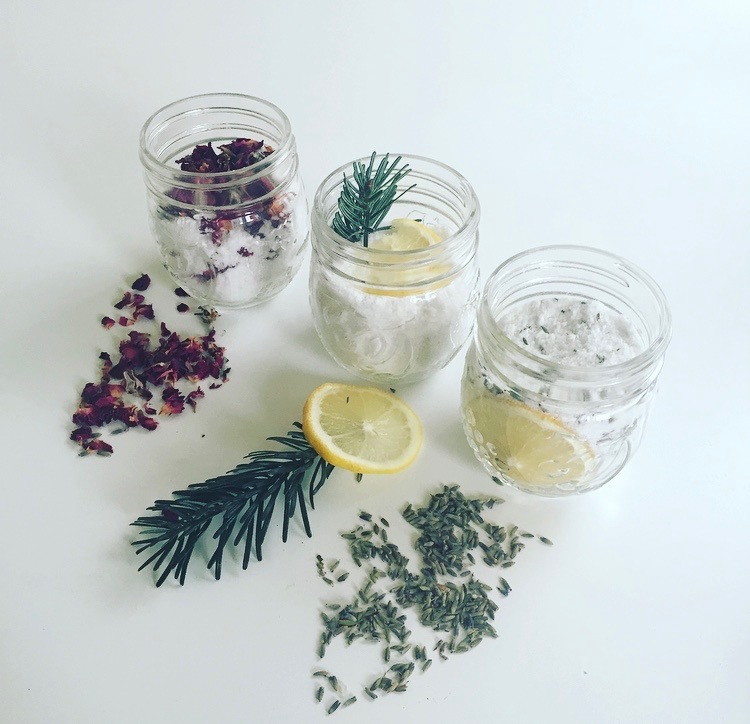 Conventional deodorant is simply toxic, but making our own is super fun and easy to do! Check out my recipe here. I don't know about you, but I like to put on a little lip balm after I get out of the shower. Most chapsticks are packed in plastic, but there are usually some plastic-free lip balms in little tins at most health food stores. If you'd like to make your own, my recipe is super simple, and the lip balm/butter lasts for a long time! If we have allergies or a cold, we can plow through a lot of tissues or toilet paper. To avoid this waste, I cut up on old shirt and use the pieces as a replacement for tissues. They are easy to make, use, and wash! This also cuts the cost of buying tissues, which also have a small piece of film plastic on the box. Because I live a Circular Lifestyle, I no longer buy tampons and pads, which has saved me a significant amount of money every month. My reusable menstrual cup and cloth pads are excellent replacements, and they are safer for my body and kind on the planet. Most dry shampoos are packaged in plastic. In an effort to reduce plastic pollution and conserve water, I use my homemade dry shampoo in-between hair washing days. I used to use toilet paper and cotton balls dipped in a toxic liquid to remove my makeup. Now, I use reusable and washable cotton rounds and a non-comodegenic oil, or a low-comedogenic oil to remove my makeup. Sunflower oil, olive, castor bean, jojoba, sweet almond, argan, calendula, neem, grapeseed, and avocado oil are all examples of oils that won't clog the pores or clog the pores as easily. I like to have my homemade anti-bacterial cream on hand in case I nick myself shaving in the shower, or for any other cuts and scrapes I might get. Most conventional anti-bacterial creams are petroleum based and suffocate the skin. They also contain ingredients that I don't want entering my blood stream. Face masks are yet another item packaged in plastic. I work in the nutrition and body care department of a health food store, and the majority of body care items we sell are all packaged in plastic. Check out my green mineralizing face mask recipe - it's one of my favorites! It's really simple to whip up a plastic-free room spray. Check out my recipe! Right now I bring my own glass jars to fill up on these items in bulk. A lot of people like using ACV (apple cider vinegar) as a conditioning rinse; however, I don't like the smell. I drink it every morning, but it doesn't work for my hair. It could totally work for you though! I'm working on making a 5 in 1 liquid soap and bar soap, that I hope to share with you shortly. The liquid soap can be used for washing dishes and in cleaning products, for washing hands, hair, body, and shaving. The bar soap can be used for laundry detergent, for washing hands, face, body, and for shaving as well. Taking a bath uses a significant amount of water, so check out my guide on how to conserve water! That being said, an occasional bath is just so crucial - goodbye menstrual cramps! Foot baths are also another option for relaxation and less water use than a full bath. Bath salts and bath bombs make great detoxifying, healing, and relaxing additions to the water; however, they are usually packaged in plastic. Making own is fun and simple to do!